When I want to leave a comment on artix.com, it says I need to update my display name. But whenever I try to it always says "Not Available." Cannot create a display name for my Battleon Master Account. - Where is this happening? Use detail! Green words say "Not Available"
After bug/game crash: More Rage! Screenshot link: Click Here Btw I have tried multiple names that are so random and it still does not work for me. Please help! Thanks! Did the bug happen again? (if it did not, no need to post!) Every time. I've been trying to link my AQW members account to my master account and it keeps saying that it is already linked to another account.. I haven't given my password out to anyone and I've tried retrieving the name and password for it from my original email address but no luck :/ Any suggestions? Step 1: aqw account support page try <.< this link. Step 2: If link is unable to assist you, return to this post and edit in (under) my response informing me that didn't help you. Dnw: I pmd you a while back and I don't know if you got the message or not, but I'm still having trouble creating a display name. The display name requires 4 to 20 characters and my email is longer than that and I would really like to know f/when AE can fix this problem. You mentioned a link in your reply and I am curious as to see what it might be. Thanks for the help! im actually having the same problem. any ideas? @meow fish - I'll try to get help from Twitter. The forums are actually taking too long for any Archknights or mods to respond. Hi there, Legion, Meowfish, Please read the following. Sorry about the delay in response. I actually never received an email from you Legion of War. Thanks for the update Dnw. I am sorry for not sending an email. Although I did try sending a PM but I do not know if you received it. Anyways, thank you again for your help. Not really an important bug, just something that's out of place but it should be fixed. "Artix Points" is out of place, this happened after the country flag was added next to it. EDIT: Fixed! Thank you for reporting the problem. how to contact the support team? - What happened? What's the bug? Where is this happening? Artix main account. Attempted the Superrewards offers, and it said they have already added the points to my account. I'm missing around 825 points. Filled out the offers as directed, told I earned these points. Waited for the points to be added. Balance did not change, the offer status did. The only error was that my balance will not budge. Sent a note to Superrewards about all of them. This was there reply for all of them. + balance Here. Superrewards offer status page, underlined are the ones I'm missing. Here. Have you cleared your cache? : Yes. Did the bug happen again? It persists. Internet connection: Dial Up, i believe. Or DSL, I don't know. It runs fast. i bought my 2013 calendar and used the code in dragonfable and it worked perfectly but in aqw it said the code has already been used and i have found multiple people on the forms who has the exact same problem only with aqw. I actually have the same problem as the fellow above me, but my code worked for AQW, but says already used in DF. Looked around to find somewhere else to check about this, but can't find where. Might be nothing but trying to create a player account for AQ3D get master login screen put in propper name and password and get a invalid input(s). I ask because I had my master account open and thats where i tried creating a character from. Artix main account. Attempted the Prize Code for Book of Lore: 2013 Calendar, and it said they have already used for this game (Adventure Quest Worlds). Filled the bar with prize code. Level Account don't increase and class or badge not come to my account. Select one Game Character you wish to give a prize to. You can use the same Prize Code only one time per game. Be careful which account and character you choose! We can not switch prizes if you make a mistake. Link a game account if you do not see your game account name listed. Code already used for this game. 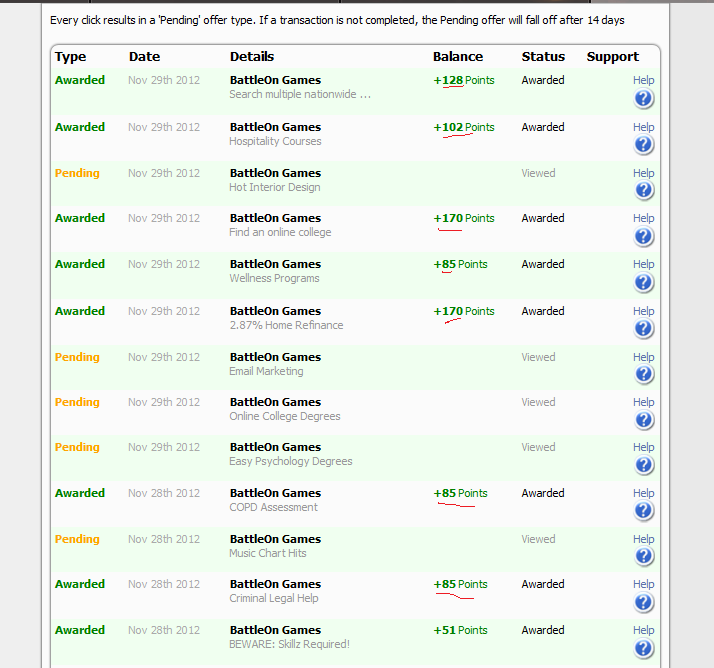 -During Bug: still had only 50 battleon points even though did thing for 450 more points. After bug/game crash: did not receive points. I recently tried to log into HeroSmash using my master account, and it says I have a wrong password or the user doesn't exist. It is the right password, I know and the right user. But my user apparently doesn't exist anymore. I didn't delete it, and I've never leant out my account. What is wrong? ~I tried to redeem an artix entertainment game card that i bought online from target.com. When i put in the code, i clicked next it said redeem card now for 4000 artix points. So i clicked next again.. then the error came up, "Invalid pin number, or system error 43:Invalid Card". So i went up to the customer service desk at target and explained and they said they couldnt do anything about it..
Ive tried all that i could think of and all i want is the 4000 artix points that i payed $20 for. Not sure if you would call this a bug but I'm not having any luck posting about it elsewhere yet, so I thought I'd try and see if it fits here. I apologize ahead of time if this is wrong. I created an Artix Entertainment Master Account and linked my games and now for some reason my account says my age group is under 13. I know I inputted my correct birth date and believe me I haven't seen 13 for more years than I care to mention. I have no kids under 13 and none living at home at any rate, so I don't get how this happened. Is there something I can do to fix this? It also refuses to link my aqw or mechquest accounts but it has linked aq, df, and wf. I just got my 2013 AE Calendar. I redeemed the code but for my DF and AQW accounts it said that code is already used.But i didn't entered the code before.What is the problem? It mostlikely means someone else used that code for AQW and DF. I would say you should contact Heromart for help. I used to log in with a Master Account Username on portal.battleon.com and artix.com. Then I got to change my Display name on artix.com to something else. After that the change where your username was replaced with your Email address took place. A while back, I couldn't comment on articles on artix.com. (Like in this post!) I was asked to change my Display name again, which worked, but now the current situation is: I no longer have a visible Display name on artix.com while logged in. It works perfectly to log in with (the same) mail address + password on both artix.com and portal.battleon.com (On the latter my email address now is my username) but on artix.com I lack a name. The area where your name should be is blank in my case. However, I do have a name! I am able to comment articles again and my correct Display name shows up. So the problem seems to be visual only...? Browser type and version: Latest versions of Google Chrome and Safari. No difference between the two. Operating System: Windows 7 Home Premium and OS X Snow Leopard. No difference between the two. What I do know is on my master account james181 my aqw account siky3 is linked to it and the most I could tell you to try and recover my master account is what my aqw account email is. Sorry for double posting but what can I do to recover my master account ? Hello, I bought two UGCs $20 each but they are $21.51 for the 4000 artix points. I can not activate each ugc for the points because of it. I am not sure what happens If I use two cards to cover the payment of one card: $21.51.